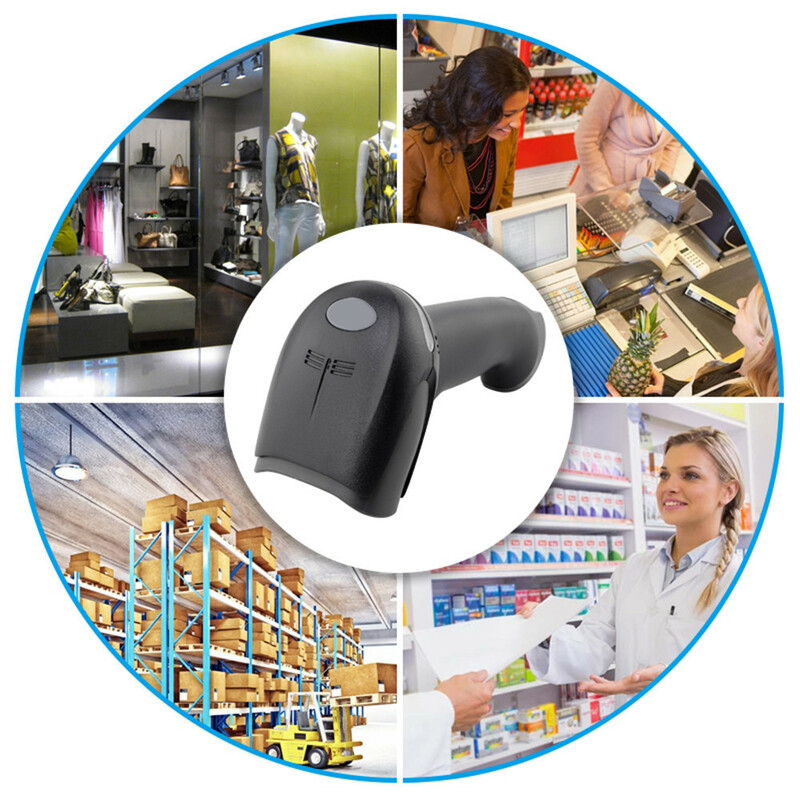 Easy-to-use laser barcode scanner for businesses, shops, and warehouse operations. 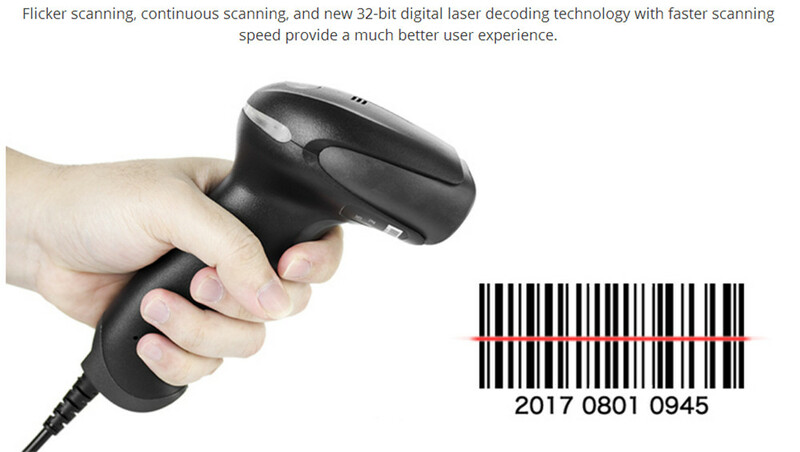 100 scans per second. 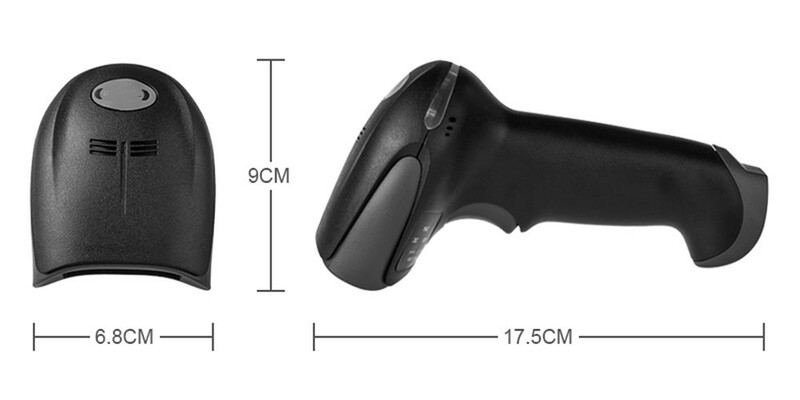 Easy-to-use plug and play design, no need for software or app installation. 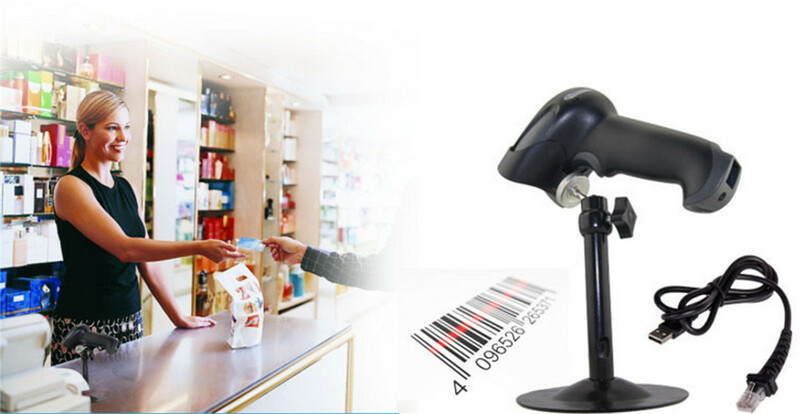 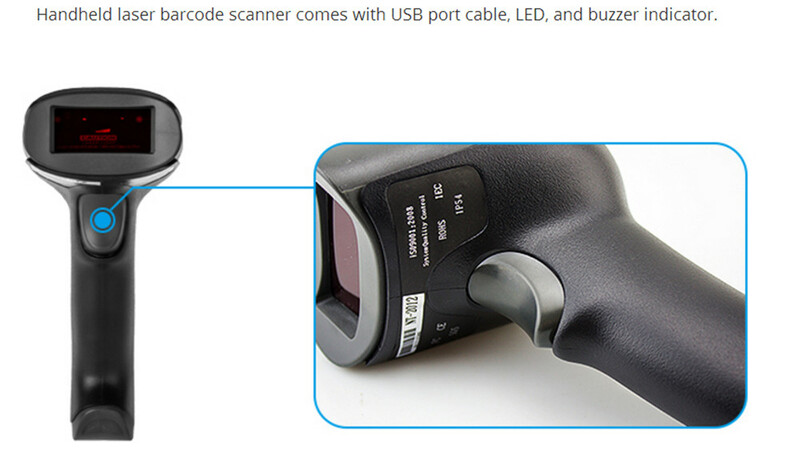 Handheld laser barcode scanner comes with USB port cable, LED, and buzzer indicator.